Would you like some oranges? No? You might reconsider. Some friends of mine gave me some oranges from the tree in their yard. The oranges weren’t the perfect, beautiful specimens that you see in the grocery store, but that didn’t matter. As I started peeling the first one, juice sprayed everywhere. These were the juiciest oranges that I have ever had in my life. But was it just from peeling them? Nope. Eating these oranges was almost an orgasmic experience. I was addicted from the first one, as if these oranges came from the original tree from a mythical garden. Want some oranges now? I thought so. This experience has taught me a new lesson about the ugly duckling as well as the benefit of buying local, small-farmed fruits and vegetables. These oranges were not the prettiest, but they were the best in every other aspect. I would pay a dollar each to have more of these oranges, which my friends scoffed at as they handed me more, free of charge. But knowing me, you know that nothing is truly free of charge. No product or service can be free. So how did I repay them? Well, I started with thank you and moved on to buying one of them a drink while tipping the other (he was the bartender that night). But Jason had the best idea. He took the oranges and made an orange cake. Now remember, I don’t like cake. I find it boring. Cupcakes are great, but cakes in general just don’t appeal to me. This orange cake that Jason made for the Victorian Garden party was beyond any cake, though. This cake, made with locally grown and small-farmed oranges from our friends, was indecently delicious. I could eat that cake every day. The moral? I don’t really have one; but, if you need a moral for every story, think about this: buying locally grown fruits cuts back on the pollution in the world, while supporting people in your area and helping your city/state. Buying locally grown fruit gives you a chance to see where the fruit comes from (well, if you go to the place instead of a farmer’s market. Locally grown fruit isn’t put through the rigorousness needed to ensure “perfect looking fruit”. Therefore, if you can afford it, you need to spend the extra few bucks on your fruits and vegetables and get them locally. You will get a superior product that is healthier for you and the world around us. 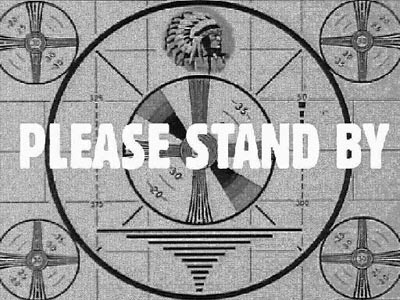 Please Stand By. Posting Delay Almost Over.